Whilst the Community Council is in a bit of flux at the moment due to the elections currently in progress, we have been asked to add the following item to the agenda for our January meeting. It is proposed to discuss the formation of a new dementia-friendly and well-being cafe, open to everyone, especially elderly residents living with isolation or bereavement.  The café will be called ‘CONNECTIONS’ and it will meet on a Monday afternoon from 2pm till 4pm at the Honeyman Hall in Bridge of Allan Parish Church. The cafe will be seeking volunteers to help out on a Monday for a couple of hours. Volunteers may have to attend a small induction course on dementia which will be held locally. There will be no cost to the volunteer for the course. Please email shieldslinda@hotmail.com for more information and registering an interest in helping out. Please email shieldslinda@hotmail.com for more information and registering an interest in helping out.